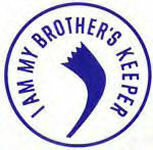 Early in 1967, I asked Mort Epstein to design a postage stamp-sized seal that would succinctly impart our message. It seemed that such items were part of the ephemera that no self-respecting mass movement or political campaign could do without. 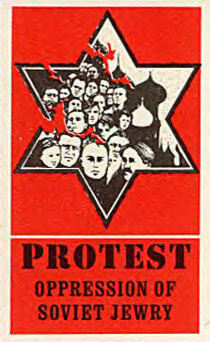 Mort came up with a powerful graphic design of a fractured Star of David frame containing a multitude of faces with onion-domed towers in the background; beneath the graphic were the words, “Protest the Oppression of Soviet Jewry” all on a deep red background. 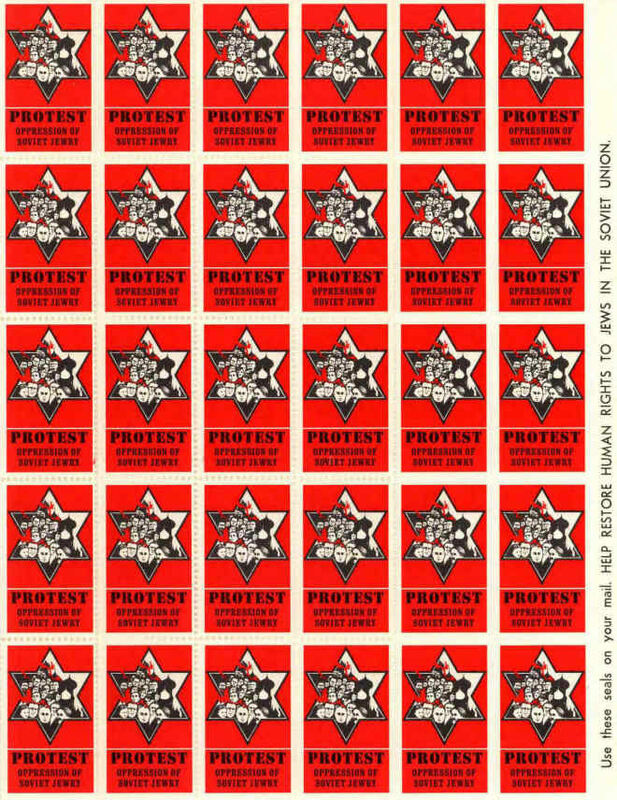 Over the years, the protest seals were of exceptional value in two ways. 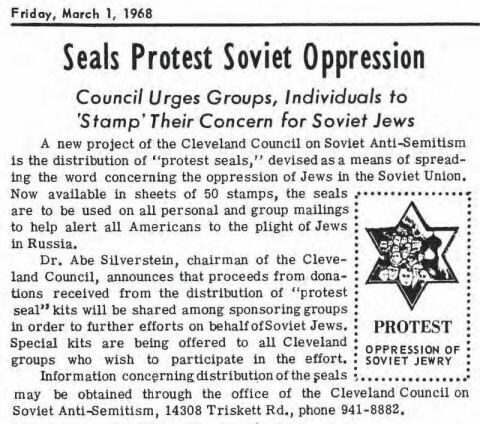 First, they raised visibility of the plight of Soviet Jews: placed on mailings, these seals carried our message far and wide. 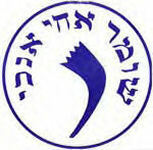 Second, the seals proved to be an important supplemental source of income for struggling grass roots Soviet Jewry groups. The CCSA records show that from 1967 through 1978, we sold 415,000 sheets, 50 seals to a sheet. Soviet Jewry groups in the U.S. and Canada purchased them from us in bulk. We billed them at a little over our cost; and typically they retailed a sheet of seals for 50 cents to a dollar. Mort’s design became an icon of the Soviet Jewry movement.